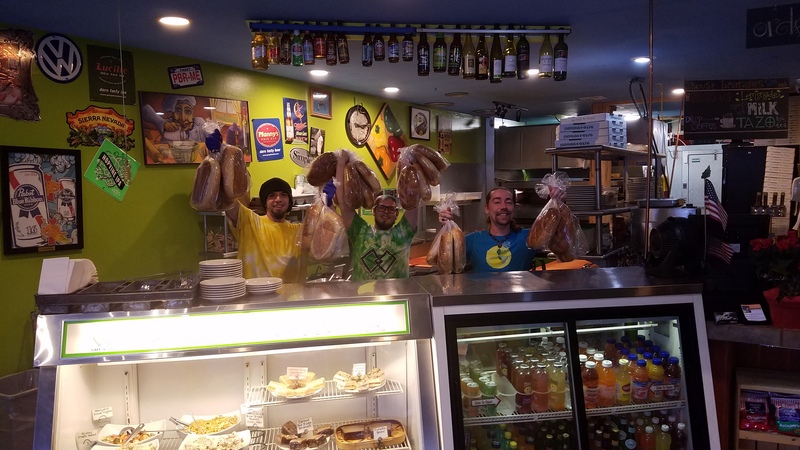 Between Thanksgiving and Christmas, being grateful for all who walk through the café doors, owner of Lemolo Café and Deli Zeb Postelwait gives away a lot of fresh baked bread. Last year Postelwait gave away 2400 pounds of his lovely loaves, a count of 1,460 to be exact. 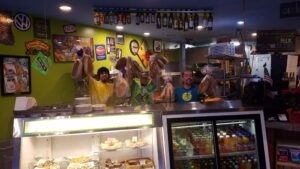 As of last Friday afternoon, the café had given away 900 loaves with two more weeks to go. “We love our community and we are paying it forward, that’s what we’re trying to do,” said Postelwait. “Our customers support us, they give to us, they tip our employees and we want to say Thank you!” Postelwait has been appreciating his customers in this manner during the holiday season for the past five years. Lemolo employees give away as much bread as they can bake each day. Every table or to-go customer is offered one of their delicious loaves. 500 loaves were given to customers the first year of their big bread giveaway, and the numbers have been on the rise ever since. Postelwait started working in family restaurants on weekends at the tender age of nine. In 2005, he purchased Lemolo after managing the café for less than a year. Since then, Postelwait has tripled the number of menu items and accomplished some major revamping. The café walls also feature the work of local artists, from Yakima to Okanogan and sometimes as far away as Spokane.